Wow! That was my reaction when I saw the 3 Weaver fruits in the flesh all of which are on the site but then I have always loved the Weaver range. 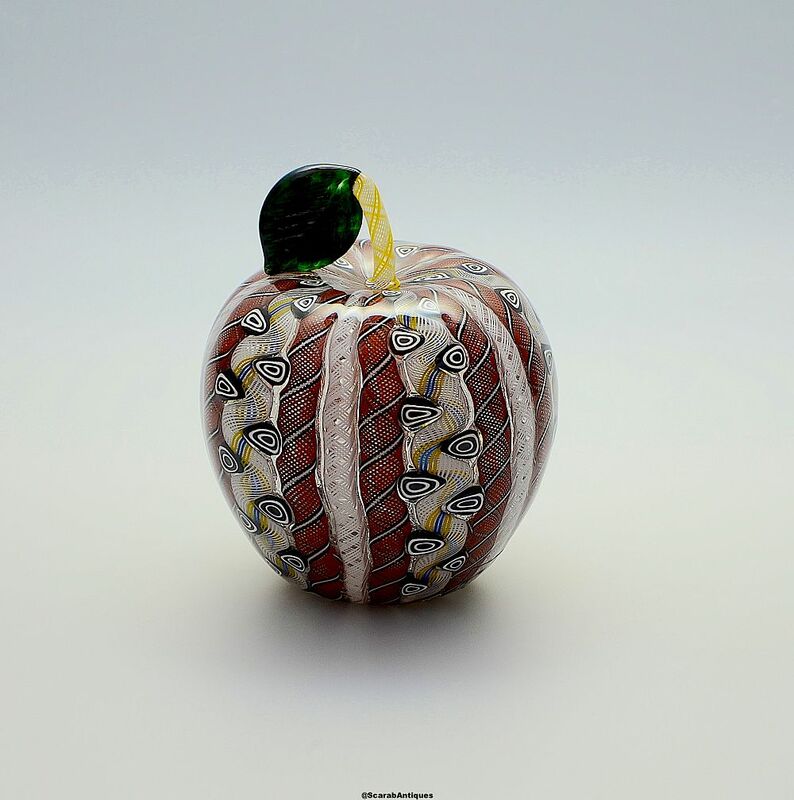 This apple is hollow blown and comprises 20 zanfirico canes, 5 white, 10 red black & white and 5 white blue and yellow all encased in clear glass. The white blue & yellow canes have been curved to accommodate white & black triangular murrine canes in each of the curves. The curved stem is a white & yellow zanfirico cane with a green textured glass leaf. The base has been scratch signed "M Hunter Twists 18" and has the Twists Glass studio label.